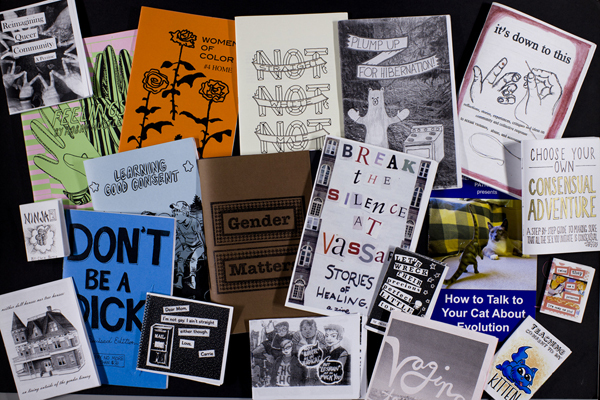 Short for magazine or fanzine, zines are self-publications, motivated by a desire for self-expression, not for profit. The following quote from Not Sorry (a zine out of the zine capital of the United States: Portland, Oregon) explains what zines are, and why they’re necessary. Jenny San Diego. Not Sorry, #3. April, 2005. Portland, Oregon.